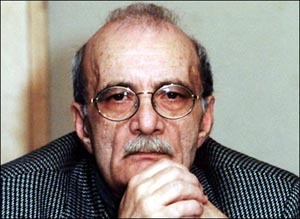 Georgi Daneliya was born on August 25, 1930 in Tbilisi, Georgia. Since 1939 the family lived in Moscow, where Danelia's father was the chief engineer for the Moscow Underground Metro System. Daneliya's father became a decorated WWII General, specializing in construction of underground bunkers for the Soviet Government. His mother was a good chess-player and later worked as a second unit director at Mosfilm. Daneliya's mother's sister Veriko Andjaparidze was married to Mikheil Chiaureli, who was a personal friend of Joseph Stalin. Daneliya first earned his architect's degree from the Moscow Architecture Institute. 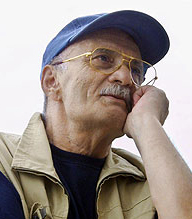 Then he studied at the Higher Director's Courses at Mosfilm under Mikhail Romm, and graduated in 1959, becoming a film director at the Mosfilm Studios in Moscow. During the cultural "Thaw" initiated by Nikita Khrushchev Daneliya was at the start of the Soviet "New Wave" in films. He had his first success shared with Igor Talankin. 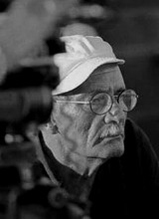 Their film 'Seryozha' (1960) was awarded the Crystal Globe in Karlovy Vary. He then worked with Gennadi Shpalikov on a propaganda-free project about life in Moscow. Censorship caused a few obstacles by demanding changes to the plot and the script of 'Walking the Streets of Moscow' (1963). It became a popular lyrical comedy with a title hit song by Andrei Petrov. But soon Nikita Khrushchev was dismissed by Leonid Brezhnev and the "Thaw" ended. Daneliya's brilliant comedy '33' (1965) was labeled as anti-Soviet by the head of KGB Vladimir Semichastny, who wrote in a secret letter to the Central Committee: "anti-Soviet...film '33' is an attempt to discredit everything including the cosmonaut's flight." Daneliya had to wait for 4 long years until he got a chance to work on his next film. It was titled "Don't Grieve" - 'Ne Goryuy' (1969), starring Vakhtang Kikabidze. His more careful, but masterful comedies 'Gentlemen of Luck' (1972), 'Afonya' (1975), 'Mimino' (1977) continued his successful career. A step beyond the comedy genre was made in his film 'Osenny Marafon' (1979). It's a melodrama about a man in his mid-life crisis, torn between two women, and all three are trapped in the game of lies and personal demands, amidst the stagnant Soviet reality. His innovative film 'Kin-Dza-Dza' (1986) stands out as a genre of it's own. Everything is different, yet very familiar in this metaphoric film. New type of script with renown stars, new environment for and old tale, new language for ancient wisdom. Daneliya created a universe of allusions; It grows with a passage of time, while getting closer to our future. He presented a fresh view of the human nature, and played with reflections on his own life, the fate of a genius in a rigid society going through inevitable changes. Danelia is blessed with good friends and highly professional collaborators. His first wife was actress Lyubov Sokolova (1921-2001) who played 370 film roles and is listed in the Guinnes book of Records. Their son Nikolai Daneliya (1958-1985) was a film director before his tragic death. Danelia lives in Moscow and works on his new project, an animation sequel to 'Kin-Dza-Dza'.